Cape Town’s city and surrounds present a bright, sparkling collage of leisure and holiday-appeal. 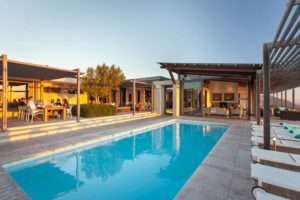 There’s the urban vibe and cosmopolitan feel of the Metropole; the vine-bedecked valleys and gastronomic delights of the Cape Winelands; and there are endless beaches to explore along both sides of the Cape Peninsula. Holidays in Cape Town can be as varied as your imagination will allow. Imagine having Table Mountain National Park as your back garden, with the energizing Atlantic Ocean providing breathcatching front-of-house views. 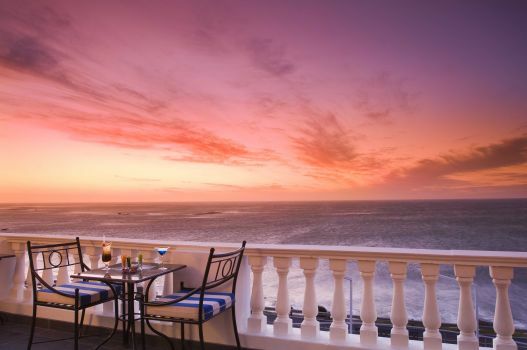 Having all of this at one address is not too tall an order at the Twelve Apostles Hotel & Spa. 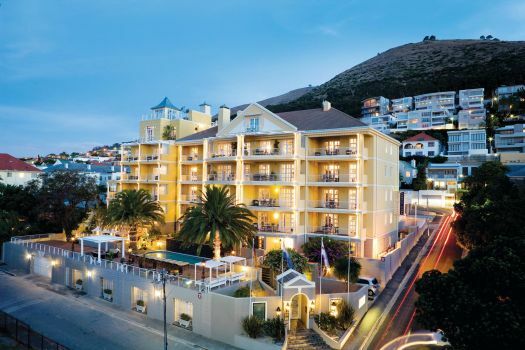 This world-class hotel stands secluded between the sea and the soaring limestone peaks known as The Twelve Apostles, with the Waterfront and city centre not far away. 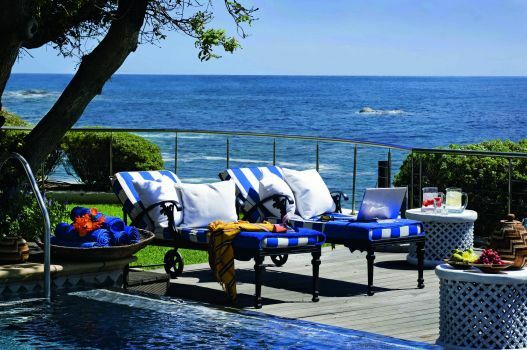 From this sublime chill-spot, Cape Town really is at your feet. 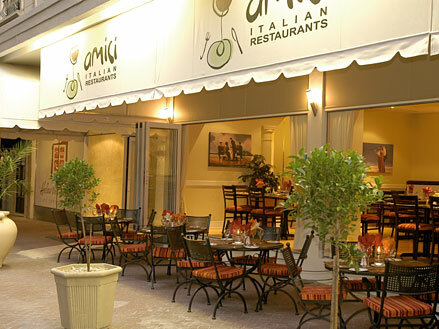 Trendy Camps Bay is close by, offering a long pearl-white beach and a string of fabulous eateries and nightlight spots. Llandudno Cape Town was the idyllic place displayed faux pas– style earlier this year on a billboard in London underground stations, by a UK ad company promoting travel to the north coast of France! The giant rocks on the idyllic image were the giveaway that revealed Llandudno as the real destination. Llandudno Beach is definately among Cape Town’s best. Pure white sands are framed by great clumps of rocks. The views are spectacular at this popular haven for sunbathing, with bright-blue waters offering the perfect cooldown. From the beach at Llandudno, sunsets are breathcatching. There are no commercial sites in Llandudno to detract from its beauty and holiday atmosphere. Stay at 26 Sunset Ave Llandudno, an opulent six-suite sole-use villa, which is also let out on a per-suite basis at certain times of the year. One of its drawcards is its own private entrance to Sandy Bay beach. Known as the Soho of Cape Town, Green Point has an energy of its own with numerous funky restaurants, popular nightclubs and a wonderful beachfront promenade. It’s a brilliant kind of junction spot, sandwiched between Table Bay, Signal Hill, Sea Point, the V&A Waterfront and the city centre. One of its claims to fame is the Cape Town Stadium which was built for the 2010 FIFA World Cup. It’s also home to the Green Point Urban Park – a multipurpose green space that’s open to the public seven days a week from 07h00 to 19h00. 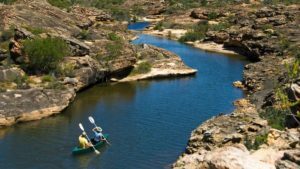 It has open areas, outdoor gym facilities and a garden flaunting local plant species and their uses by indigenous peoples. Green Point Lighthouse, South Africa’s oldest, also has a key position. The oceanside promenade is a great walking or jogging mile, and has play areas for children, including a mini train and mini golf course. 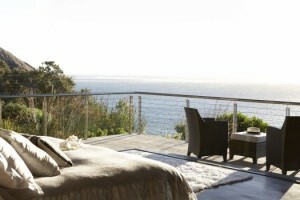 Stay at Romney Park All-Suite Hotel & Spa with fabulous sea views. Or come a tad nearer the city and stay on the beautiful historic edge of the Mother City, at Cape Town Hollow Boutique Hotel. You can enjoy snatches of history when you visit the Natural History Museum, the District Six Museum and the Holocaust Museum. Markets such as the Church Street Antique Market and Green Market Square add masses of charm to the downtown area. Long Street and Kloof Street are great to explore on foot, with their many boutique stores and trendy cafés, whilst the Victoria and Alfred Waterfront offers the best in trend shopping within easy reach of the city. Table Mountain, Cape Town’s most famous landmark, is accessible by high-tech cable car in good weather. 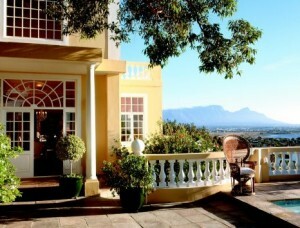 Read about other Cape Town attractions. The South Peninsula stretches from Tokai to Noordhoek and is a mixture of heritage and coastal charm. It includes the surfing hot-spot of Muizenberg on the False Bay coast, trendy Kalk Bay with its quaint harbour and curiosity shops, beautiful Simon’s Town, famous for its naval base and the idyllic Boulder’s Beach, a protected area for a resident colony of African penguins. Cape Point is the southernmost part of the Cape Peninsula and allows for superb views of the two oceans and surrounding mountains. Colona Castle is a luxurious place to stay, anchored up against the mountainside with views over a string of lakes and the ocean. View suggested holiday tours of Cape Town and Western Cape. Mail us for information and bookings, or call +27 21 797-7122 (international) or 0860 102 907 (local).